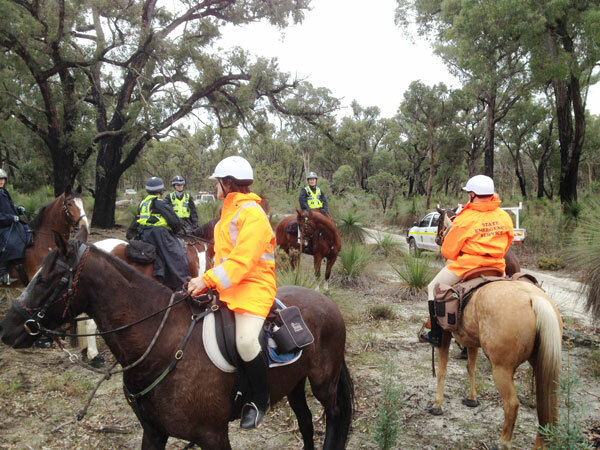 Seven mounted members and one ground crew were called out in February to search for a missing person in Midland. The team were relocated to Swan View to search vacant land. 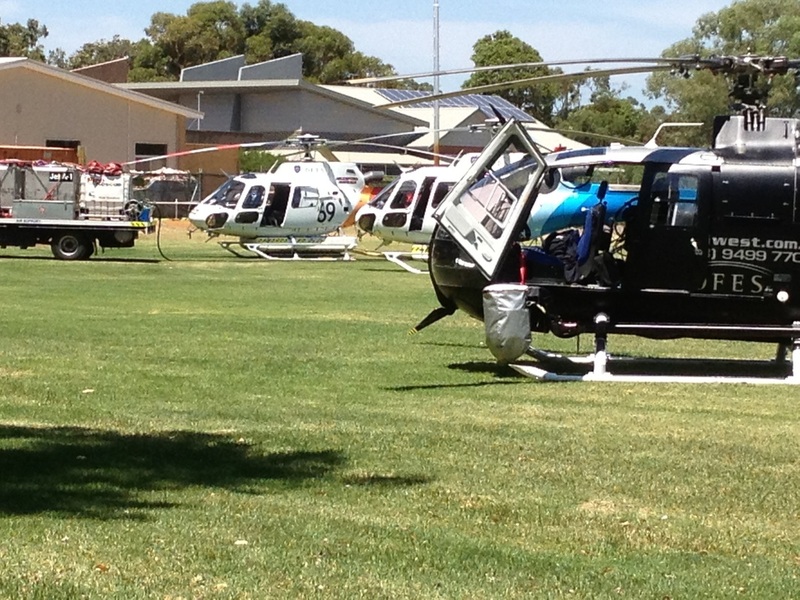 ​Fortunately the missing person was located by a member of the public later that evening. 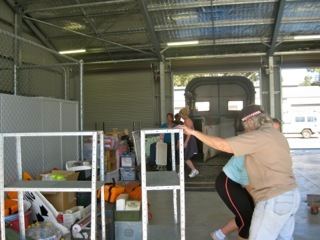 First held in 1984 the biennial APES games were held in Mandurah this year. 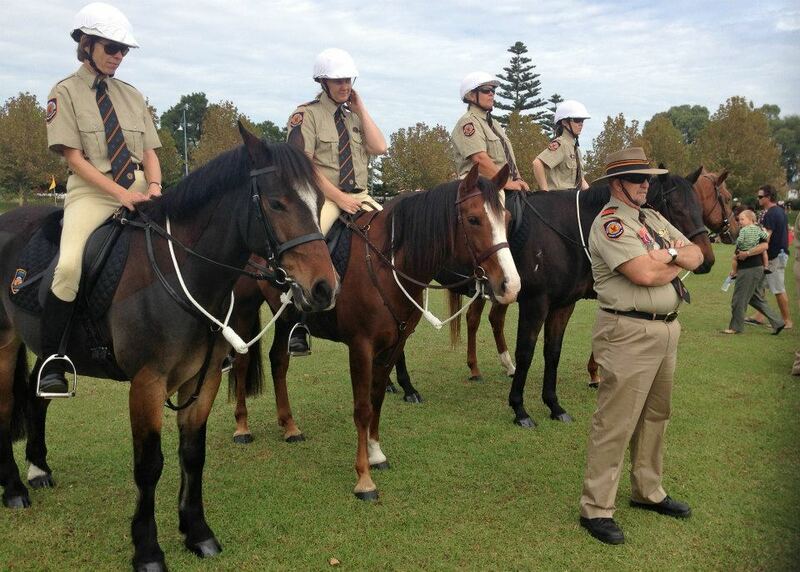 The Mounted Section was well represented, coming home with 3 gold, 6 silver, 4 bronze and 2 merit awards. 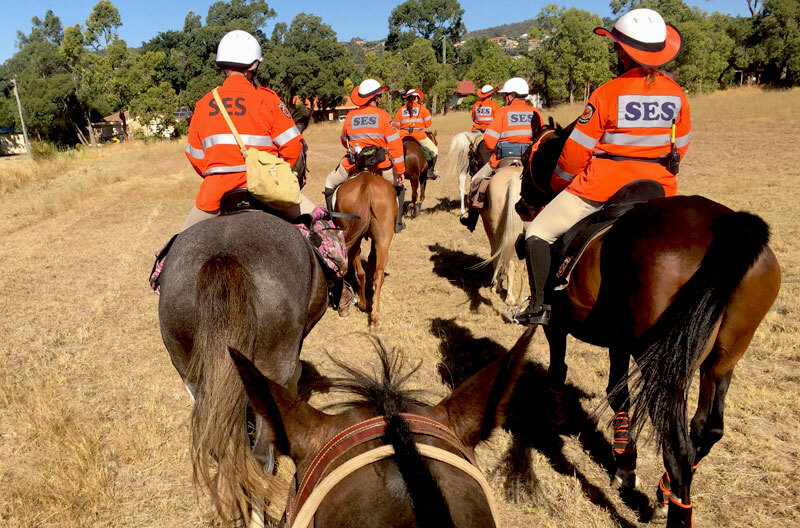 In 2018 the Mounted Unit made numerous visits to other SES Units- Cockburn, Gosnells, Belmont and Serpentine/Jarrahdale, to explain the capabilities of the Unit. Congratulations to Amy and Sam, Krystal and Belle and Brian and Tommy on passing probation. 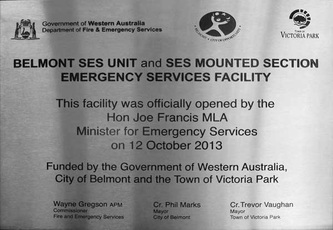 The celebration barbecue to recognise State Emergency Service volunteers was held at the Belmont SES facility, in Cloverdale. 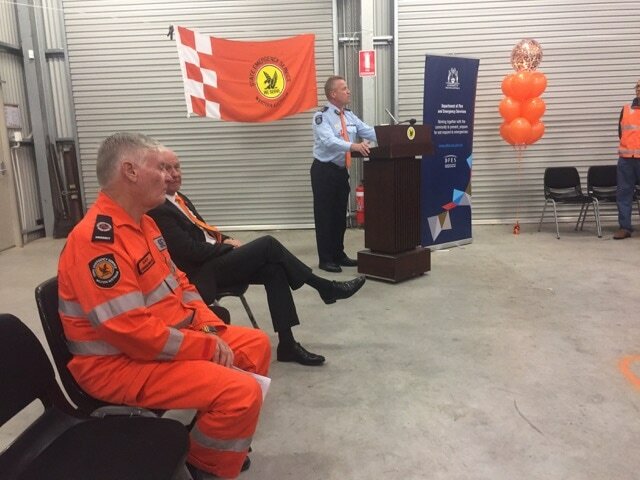 Steve Summerton was the event MC, with the Commissioner and Minister giving an address to the 200+ guests. 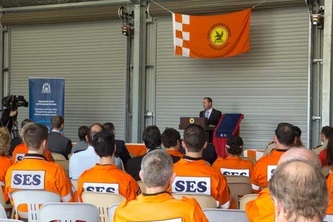 Closing comments were made by SESVA President Gordon Hall. 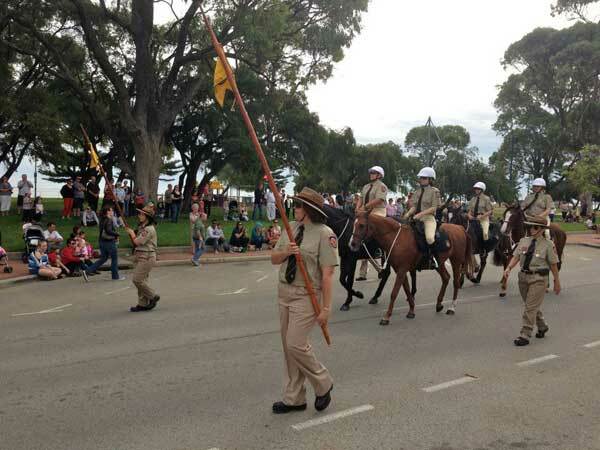 ANZAC day saw 6 horses/riders and 12 ground crew take part in the annual Rockingham Anzac Day parade. October saw the Mounted Section move to new headquarters in Kewdale to become a part of SWORD. 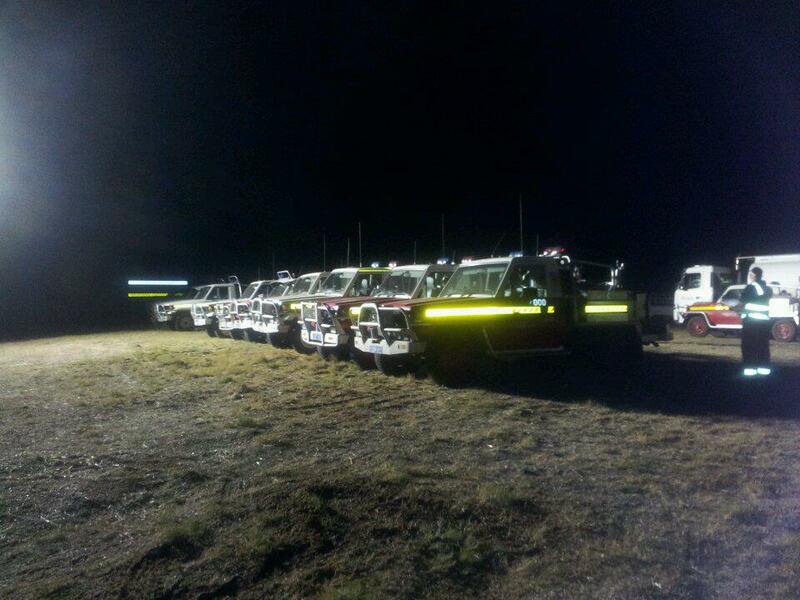 SWORD (Statewide Operational Response Division) provides secondary responders to augment emergency response teams. 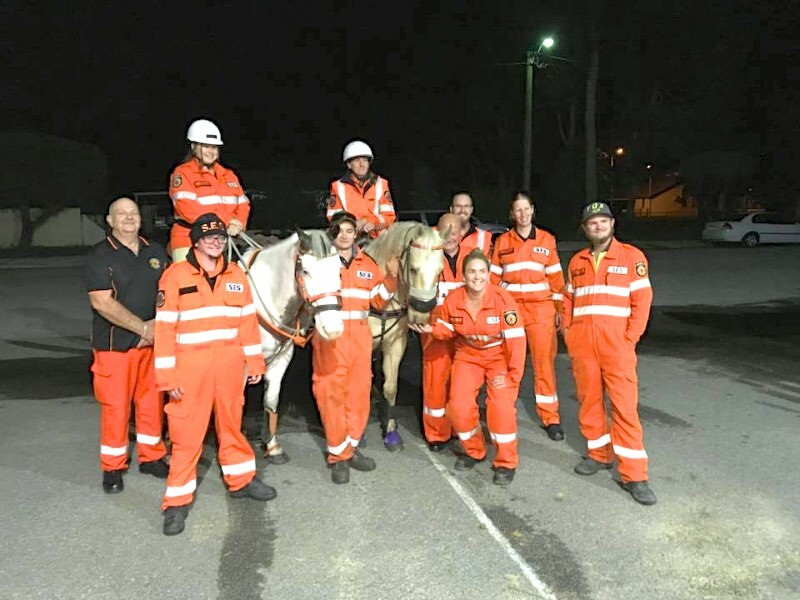 On 1st and 2nd May, 5 members attended a workshop in Technical Large Animal Emergency Rescue run by Anton Phillips, an Animal Rescue Specialist from the UK. 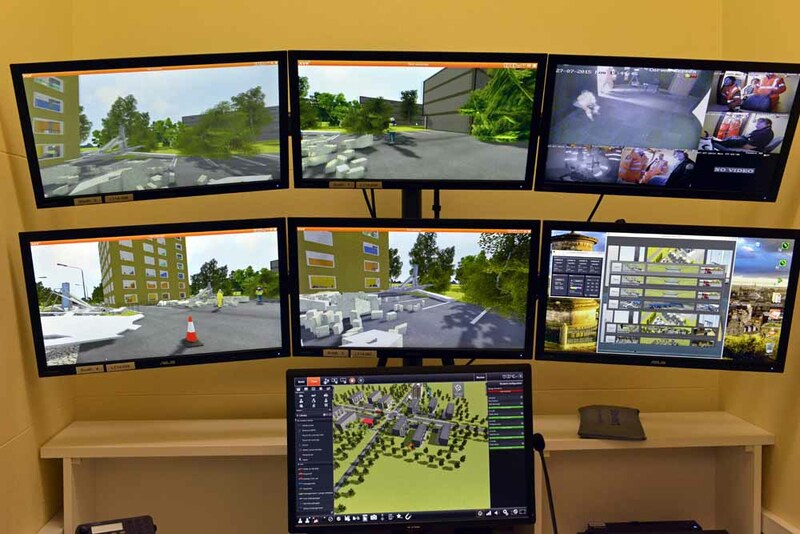 We will be holding an information evening on Tuesday April 4th for you to find out exactly what is involved and to meet some existing members. This will be a general information presentation and you will then have an opportunity to ask questions. Afterwards, join us for a cuppa and chat with members where you can ask more questions and chat with them about their experiences. 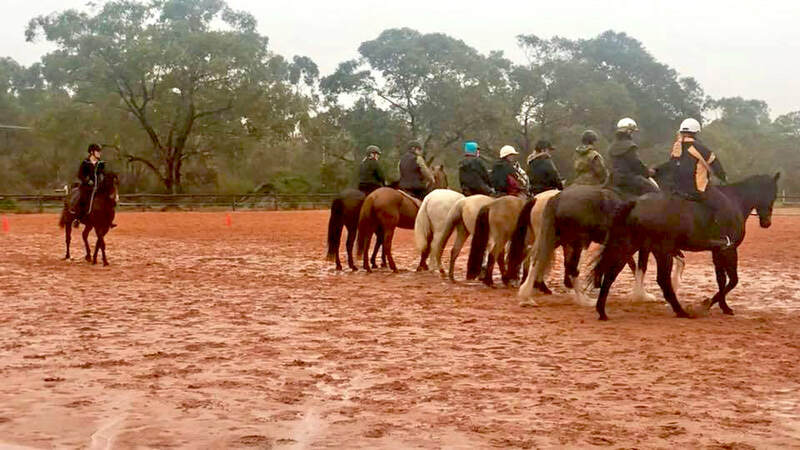 After this, if you are still interested there will be an induction/rider assessment day on Saturday 29th April for those wishing to join. Held in October Perth Heritage Day is a great day out for residents and visitors to explore Perth's historical buildings and history. 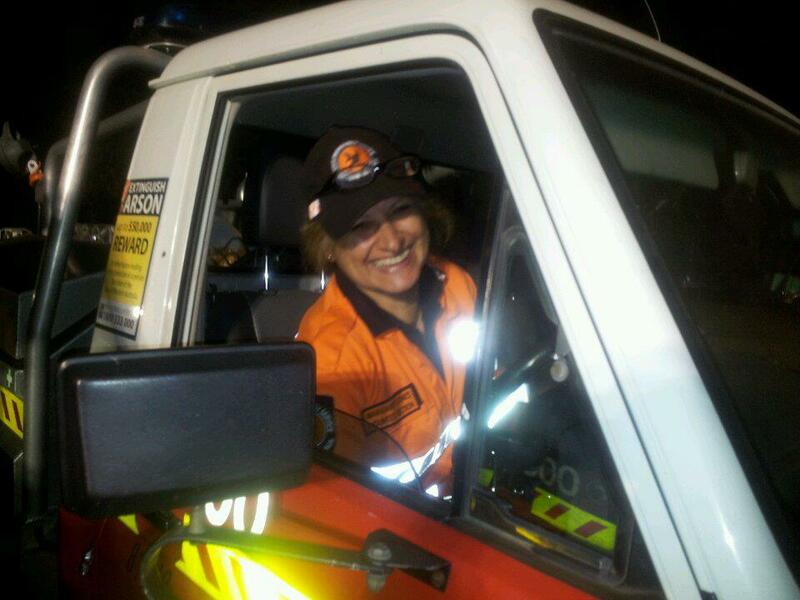 In July our members headed down to Rockingham SES to inform everyone about what we do and what we're capable of. 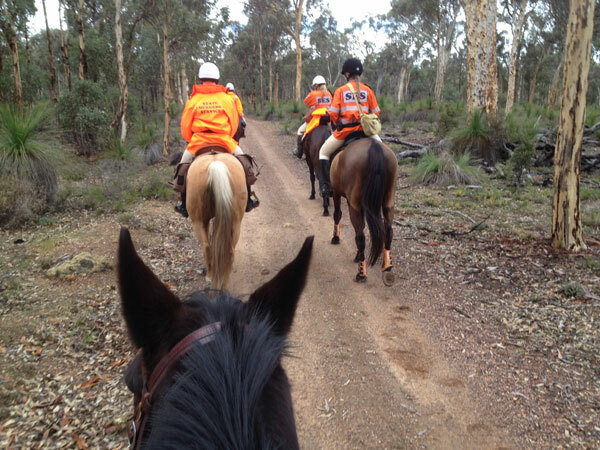 Members from Mounted Section took part in a foot search at Point Walter for a missing man. 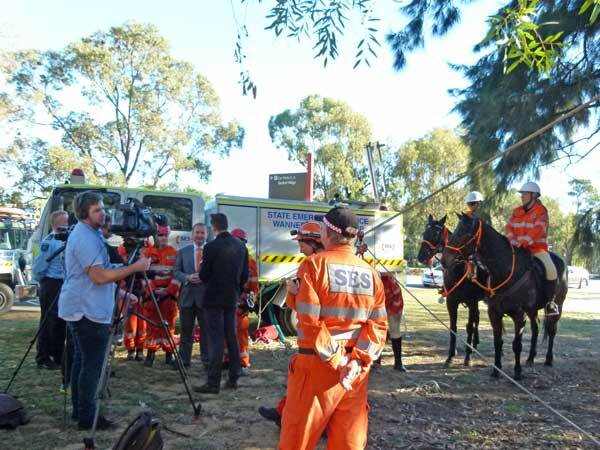 3 members assisted in the rescue of a horse trapped in mud in a dam. Four mounted members and two ground crew from Mounted Section took part in WOW Day at Murdoch University. 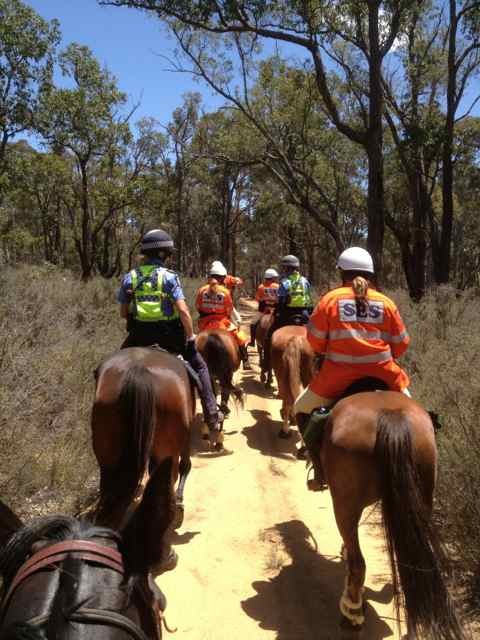 SES Mounted members were involved in the search for 23-year-old Michael Junior Huria (Sullivan). 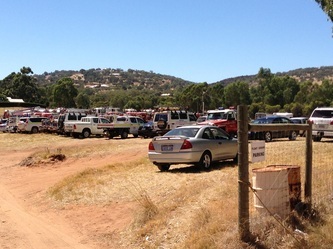 Fire and Rescue Service, Volunteer Fire and Emergency Services and State Emergency Service canine, mounted and communications support personnel, as well as the WA Fire and Emergency Services Concert Band. A New Member Information Evening was held April 6. 19 potential candidates attended and all seemed keen to follow through, with some good feedback on the night. 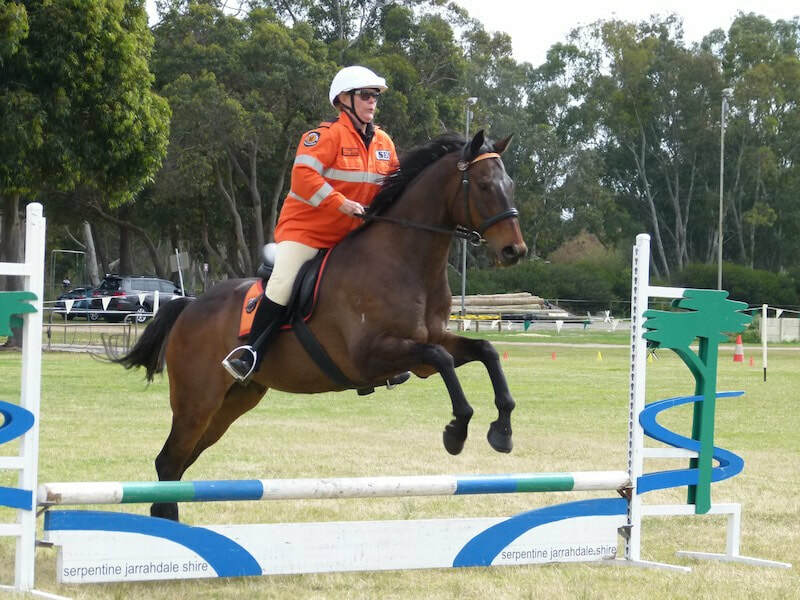 From the 19, 10 attended the rider and horse assessment day at Peel PC with another 3 unable to make the day but keen to continue. 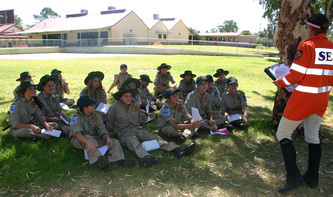 From these 13 they have been invited to join us for an induction training night and should they pass this can join the unit from May night training onwards. 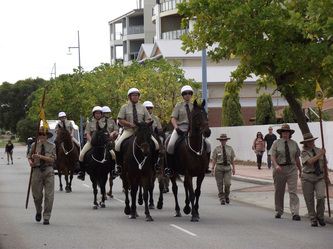 ANZAC day saw 4 horses/riders and 9 ground crew take part in the Rockingham March. Horses were as popular as ever with the crowds during the service. 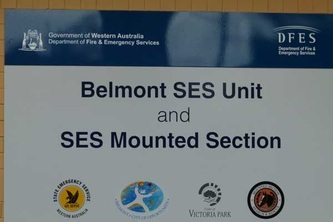 On Monday evening July 27th a number of members attending the Belmont Units "Show and Tell" night. 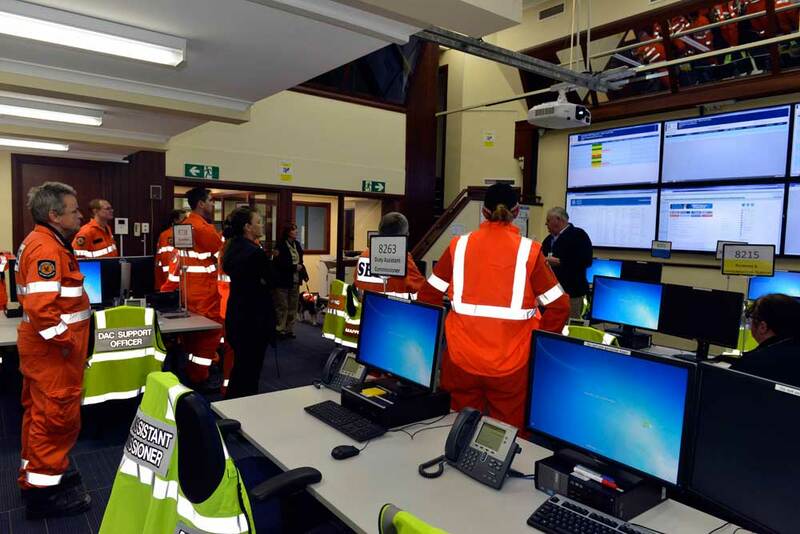 Members had been asking about what other specialist units did and therefore we all came together on the night for a demonstration. 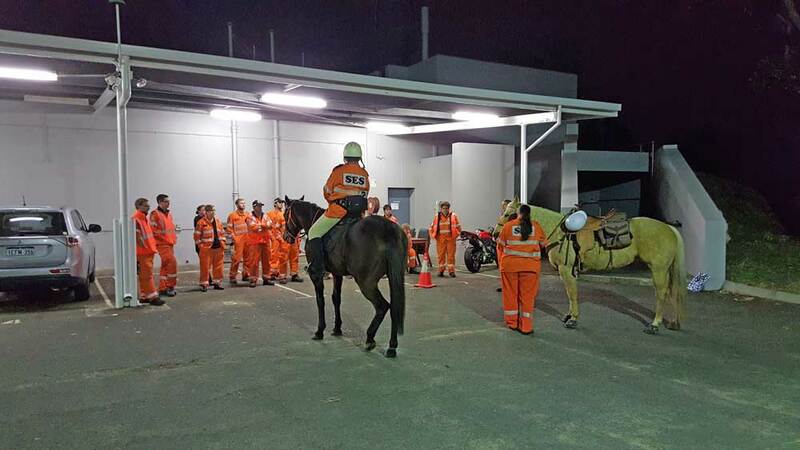 The night included a tour of the SIMCEN and talks from Mounted, Canine and Communications units. Then we moved outside to the cold and Natalie presented a talk on what Mounted Section did. 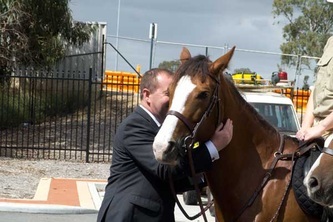 Corrie and Charlie along with Ben and Zophia were there to model what the Mounted Section did and gave a great contrast in what type of horse and gear you can use. Whilst this was happening, another talk was being made inside by the Canine section. Finally we all gathered out on the grass for a demonstration of erecting a Repeater. 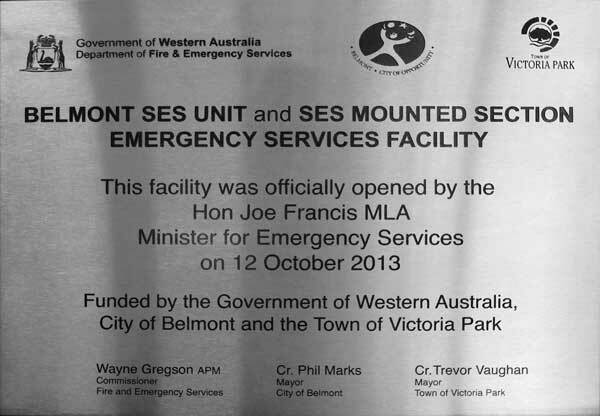 It was interesting to hear about the considerations they need to make and how it was erected and stabilised. 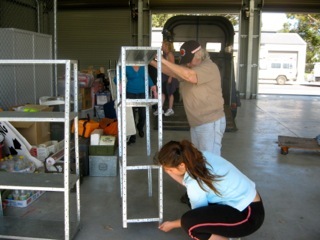 Three members were able to do it in about 10-15 minutes. So all in all it was a great and informative night. 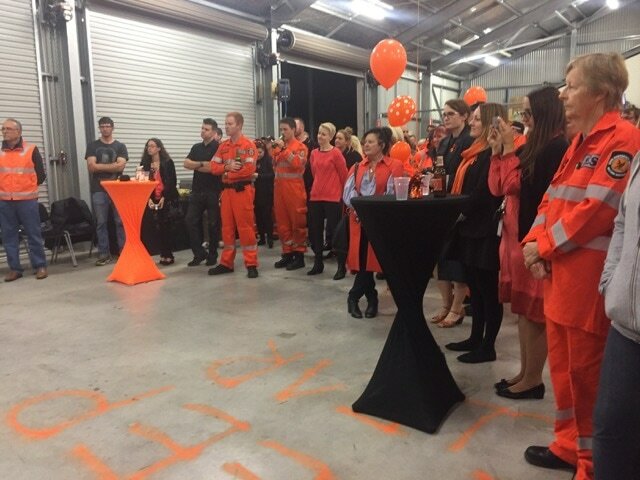 WOW Day (Wear Orange Wednesday) Wednesday 12th November 2014. This week we acknowledge the hard work of more than 2000 State Emergency Service (SES) volunteers during National SES Week. Celebrations are taking place across Australia from Monday 11 to Sunday 17 November, recognising the tireless efforts and commitment of our volunteers who give up their time to keep our community safe, rain, hail or shine. 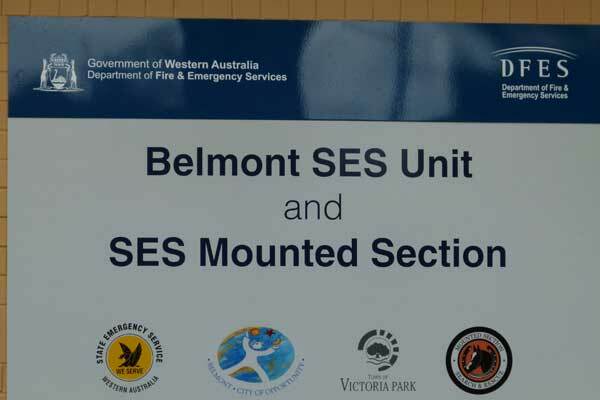 The SES Mounted Section is holding an information evening on Wednesday 7th August at 19.30 at our Belmont Headquarters. 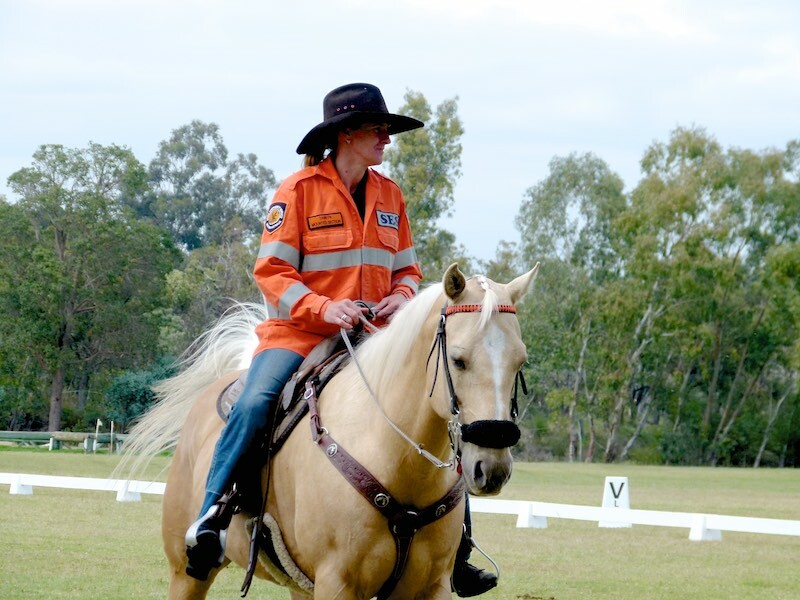 Have you ever wondered what exactly is involved in being a SES Mounted volunteer? 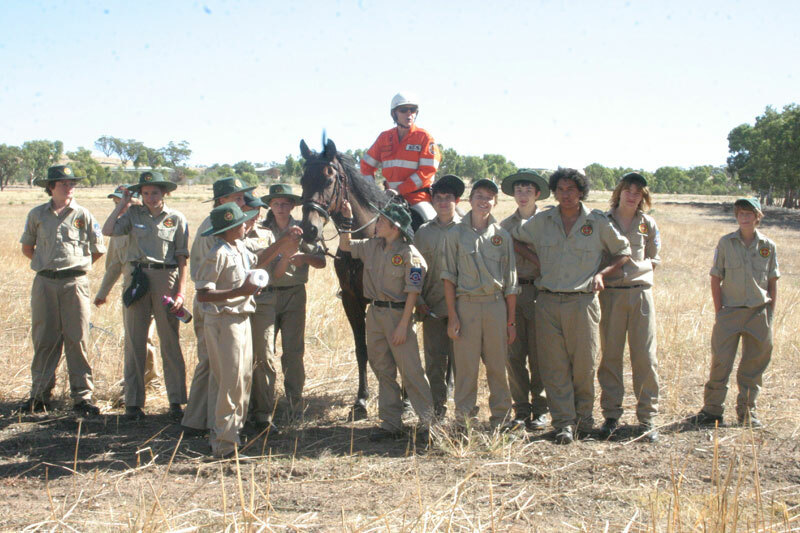 Have you been thinking of volunteering for the community and want to do something with your horse? Then why not come along and find out exactly what is involved and meet some members. There will be a general information presentation and you will then have an opportunity to ask questions. Afterwards, join us for a cuppa and chat with members. 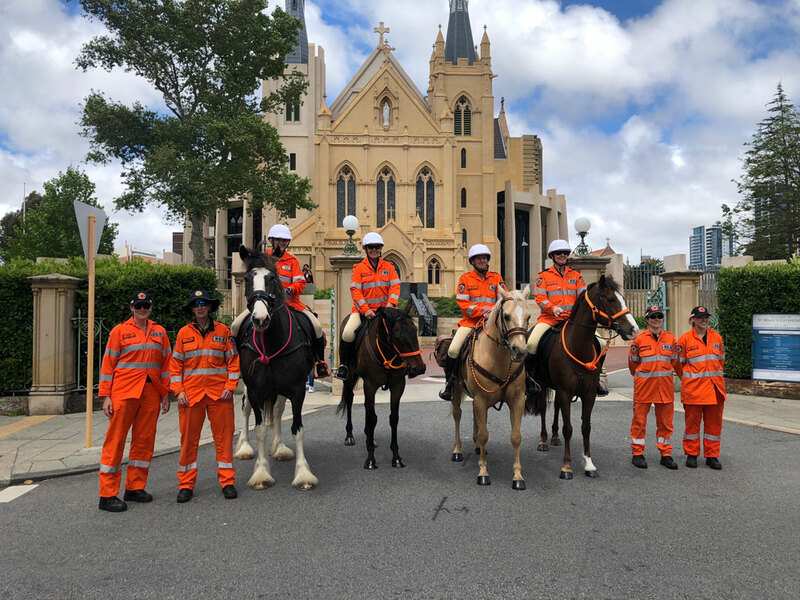 SES Mounted Section Local Manager, Stuart Jones will be giving a talk on how The Mounted State Emergency Services operate and how you can become involved. 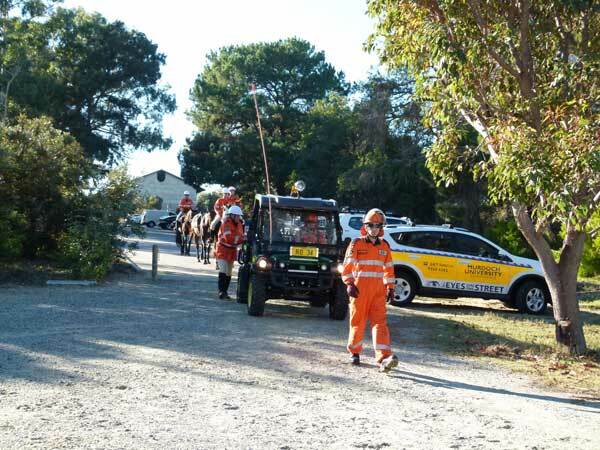 Since December SES Mounted members have been involved in eight operations. 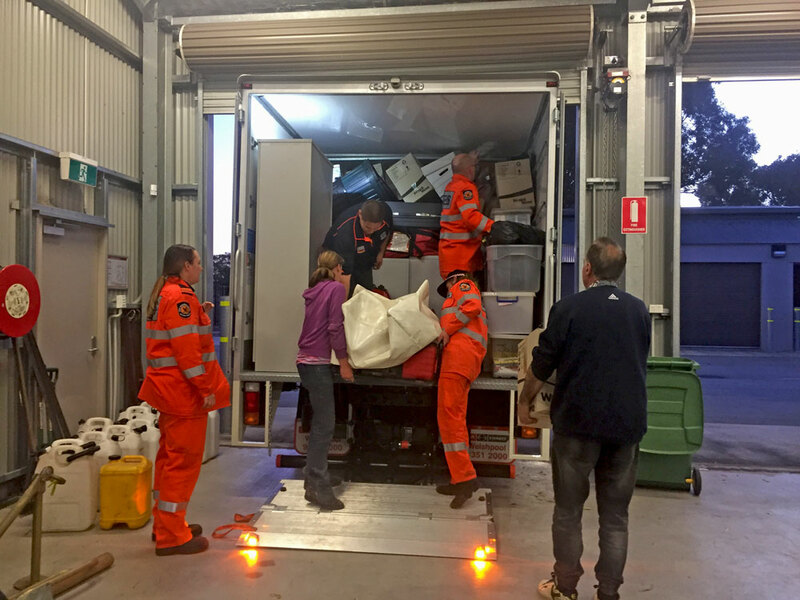 These have consisted of three searches, three fires, a storm and a cyclone, volunteering their time for a total of 293 operational hours. 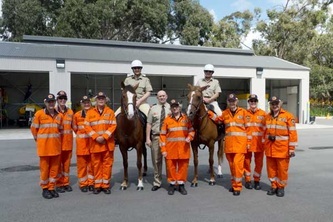 6 possible new recruits join members of the Mounted Section for a training session at Magenup Equestrian Centre. 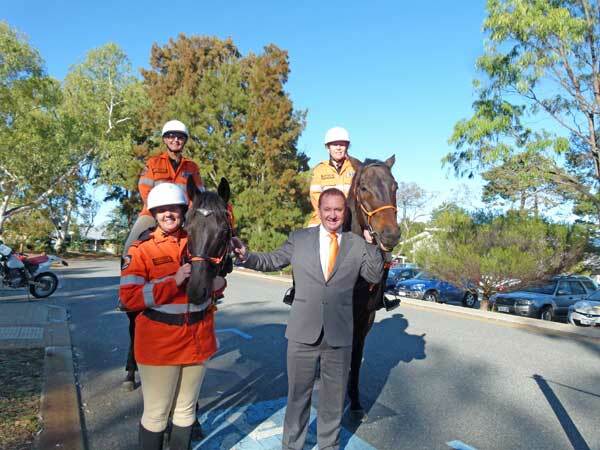 The Western Australian Horse Council has been given the opportunity to receive funding of up to $50,000 for a survey on the number of horses and their economic and environmental impact on Perth and Peri Urban region. We are seeking a person for this paid position, who is experienced in gathering and analysing statistics. 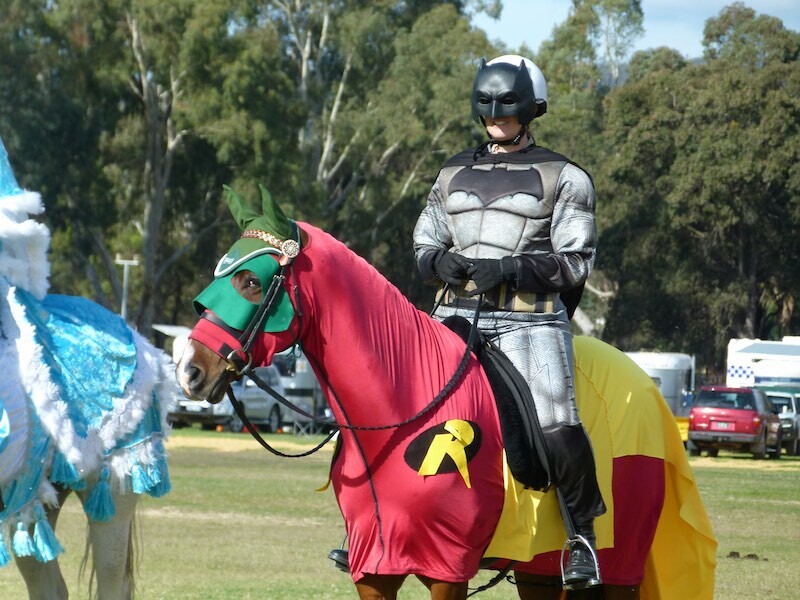 This person must have a current Professional Indemnity policy. 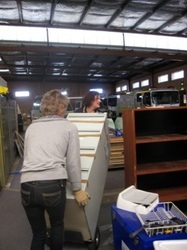 The timeframe for completion of this project is no longer than eighteen months, starting from the end of March 2013. 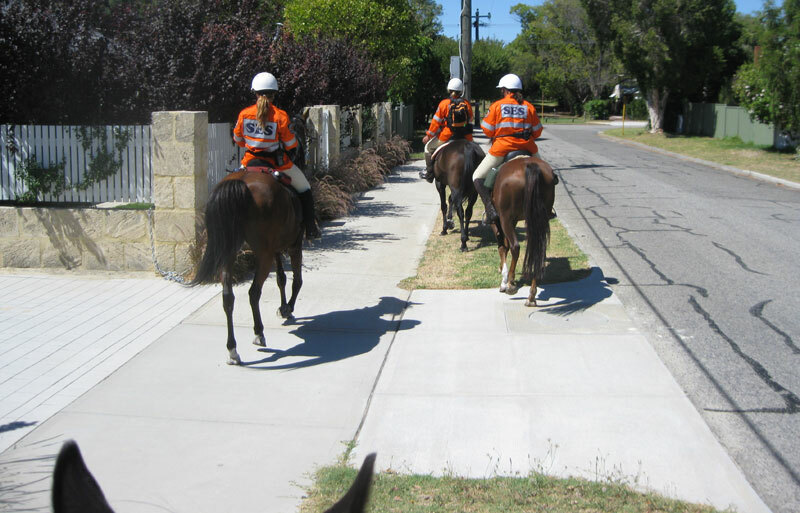 SES Mounted Section is currently recruiting committed volunteers to join the unit. 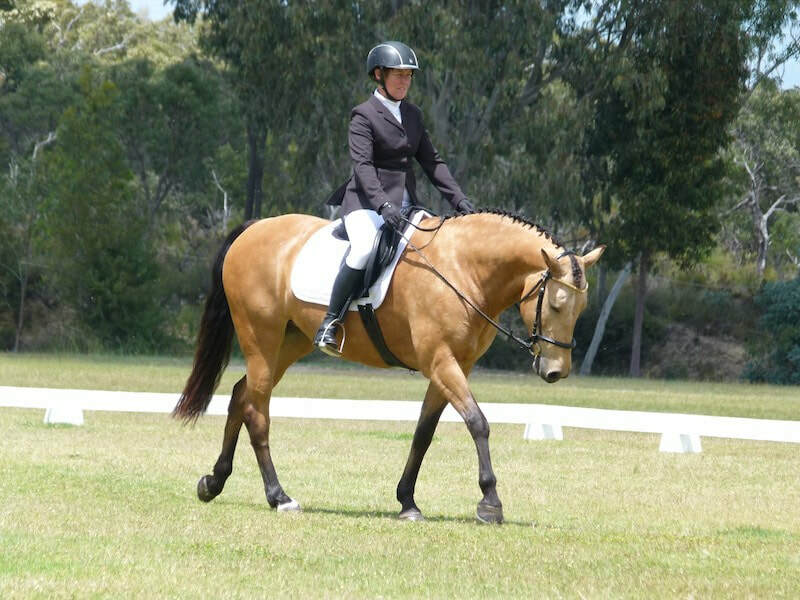 This website gives interested persons an overview of the necessary requirements of both horse and rider. 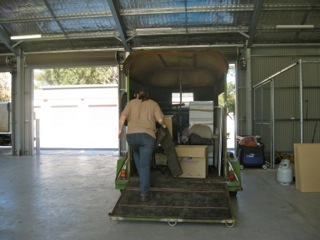 At this stage we are planning an 'Information Evening' on 6th February 2013 and a compulsory 'Induction Weekend' 23rd and 24th February 2013.
link to the Talking Horses radio program. 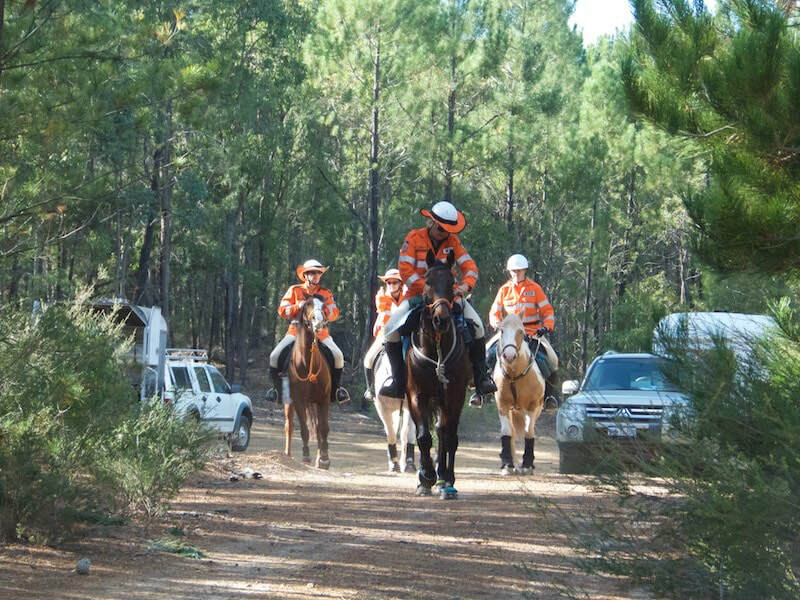 The WAHC and PCAWA will be holding a public meeting at the State Equestrian Centre on Thursday 29th November starting at 7.30pm, to form a lobby group, ‘Halt Activity Lobby Trust’ (HALT), which will assist trail riding groups, clubs and organisations that are in danger of losing their grounds to urban encroachment. 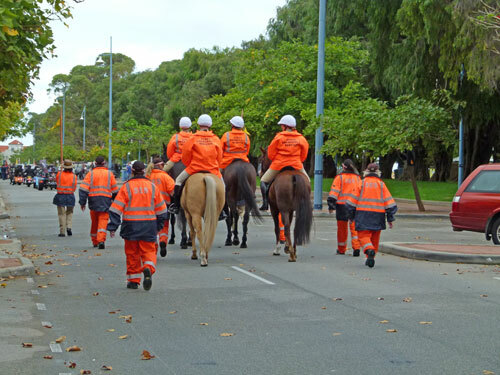 Many organisations have already lost their venues, and the ‘HALT’ group will be working to remind all levels of government involved in planning, of the ongoing need to provide suitable areas which are large enough to carry out all the events the horse community now enjoy. Special thanks to Martin Shaw CEO EWA for hosting this inaugural meeting at the SEC and promoting it on the EWA Email Blast. 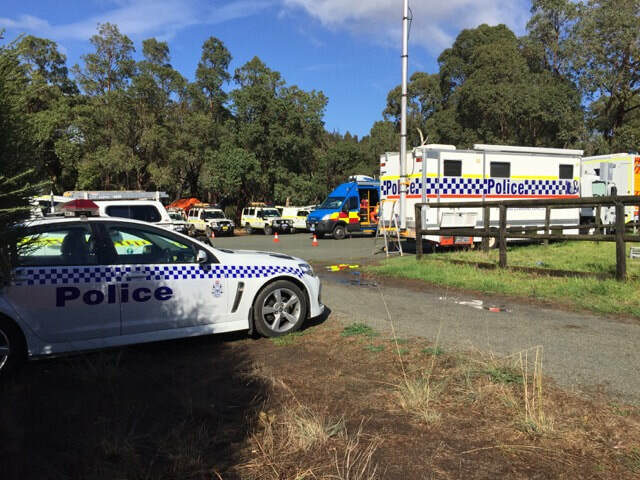 The RAC rescue helicopter, police and 100 SES volunteers, including the mounted section and the SES dog squad, spent the morning searching the Eden Hill area for the woman. 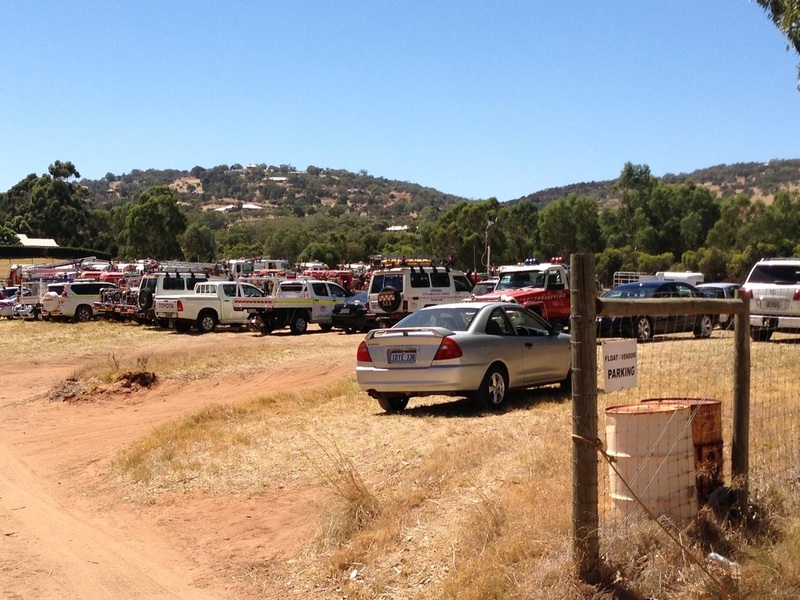 Great effort from every one involved in the search. Terrific outcome. Under the new Activities in Thoroughfares and Public Places and Trading Local Laws – based on a template issued by the WA Local Government Association - Collie Shire Council and many other shires throughout the state have recently passed a local law that requires permits to be issued before a horse can be ridden in a built-up area. 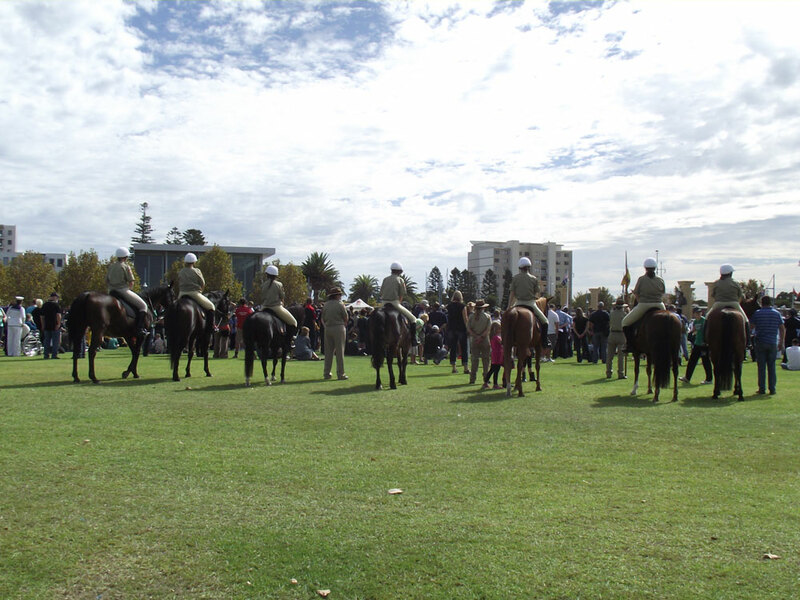 This gives rangers the authority to impose fines for infringements. To find out whether your shire has adopted a version of this law, go to the on-line register of local laws and search for ‘thoroughfare’. Clicking on the icon in the Gazette column opens a PDF showing the full wording of the law as the council has adopted it. 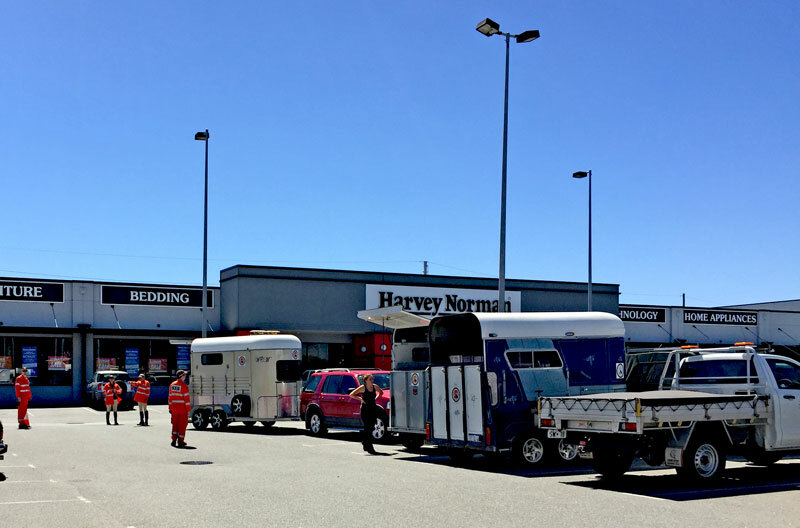 NEW NATIONAL STANDARDS FOR TRANSPORTATION OF LIVESTOCK. 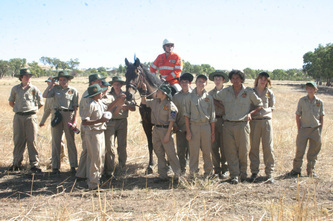 During March Liesl Simons, SES volunteer for Mounted Section gave a presentation of SES Mounted Section search and rescue techniques to two groups of Cadets from York District High School. 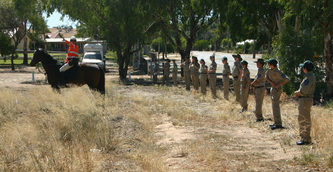 The Cadets had a great time and Argy was the centre of attention. 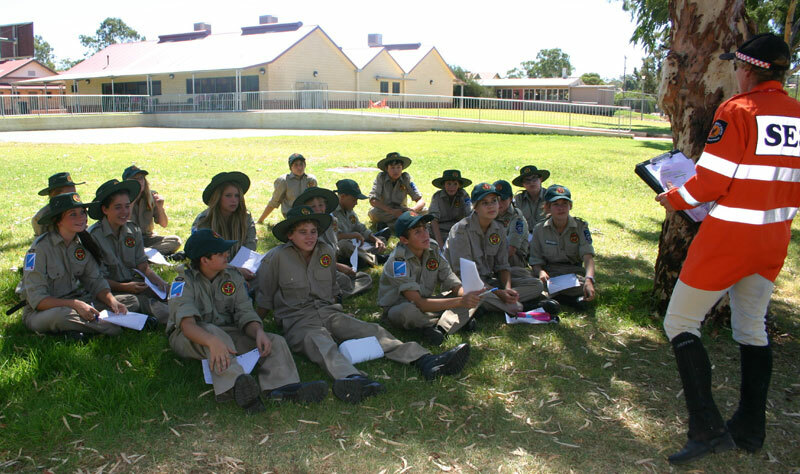 Thanks to Ms Liz Read for the invitation to share these skills with her Cadets. 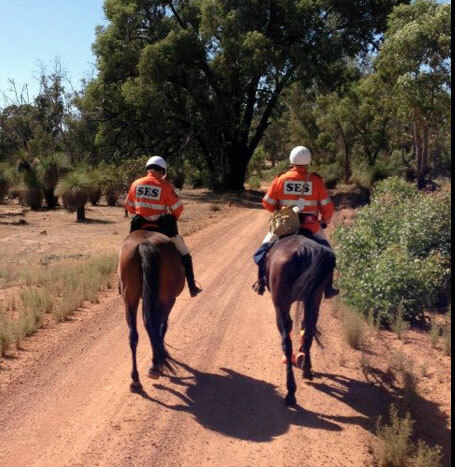 In November, 6 members from the Mounted Unit joined SES search teams, spending 3 days in Dalwallinu searching for a missing man. 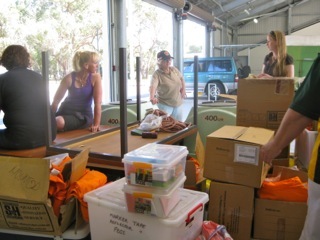 Thanks to the Wongan Hills Hotel for providing excellent accommodation.